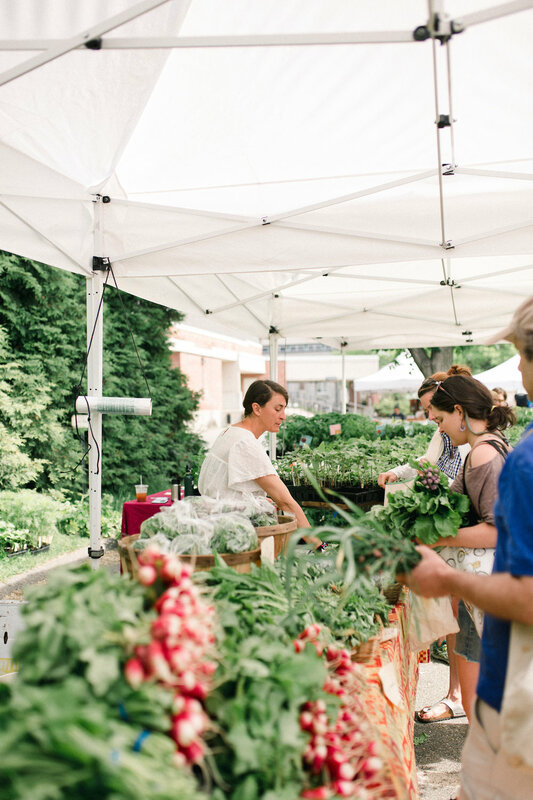 For 29 years the Great Barrington Farmer's Market has made beautiful local food more accessible to residents and visitors alike. The market runs every Saturday from Mother's Day through October. Meet your farmers, listen to live music, run into friends, and above all eat good food. Our commitment to making local food accessible to our community the corner stone of what we do. Ready to start your weekend strolling through the market filling your basket with delicious food to share with friends and family? Interested in making a donation to the Farmers Market? Our community sponsors support nutrition assistance programs at the market, daily resources, outreach and more. Thank you for supporting the businesses that support the market!